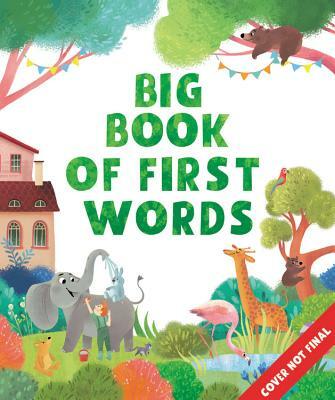 The Clever Big Book of First Words is filled whimsical illustrations that keep preschoolers eager to learn! The pages are packed with look and find activities that help children identify everyday objects and understand the world around them. The sturdyoversized board book format is perfect for home and the preschoolclassroom. Interactive pages include prompts to help children learn first words, build vocabulary, and keep littlelearners engaged. Early readers will be entertained as they search the colorful illustrations for people, places, and things! Margarita Kukhtina studied Fine Arts at Moscow State Academy Of Slavic Culture and is now working as an illustrator and a graphic designer. Margarita created her first illustrated book in 2015 and has since worked with Russian and European publishers. She took part at the exhibitions of Moscow International Festival of book illustration. She now lives and works in Moscow, Russia.